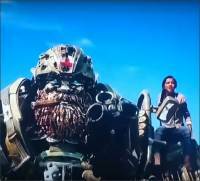 Along with the previously mentioned clip from the upcoming Michael Bay movie Transformers: The Last Knight, a 1 minute long Trailer was also aired during Nickelodeon Kids’ Choice Awards 2017. The new trailer consists mostly of never-before-seen footage from the movie. The footage features Megatron and his little backyard bully gang of Decepticons such as Onslaught, Hooligan and Mohawk. Good guys are represented by Bumblebee, Crosshairs, Sqweeks, Canopy, Grimlock and the Baby Dinobots. 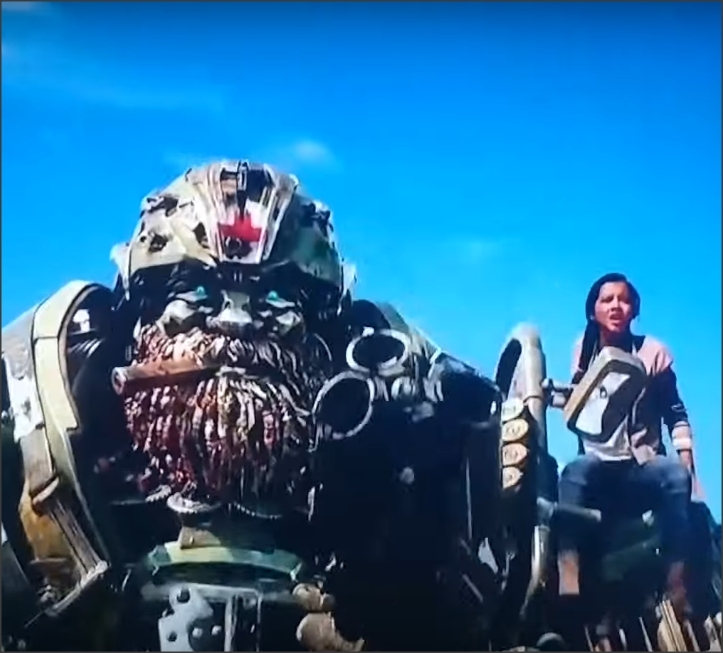 The clip focuses of Isabela Moner‘s character of Izabella interacting with the orphaned kids, Mark Wahlberg‘s character of Cade Yeager as well as the Autobots and the Decepticons. You can check out a low quality recording below, until the official high quality one pops up.